Nashville Muslim Activist Declares Time to Stop Hiding Behind Patriotism and Religion. Welcome to the next phase of the Islamist intrusion where the art of deception is no longer required, as they now are empowered and influential enough to reveal their true colors. Nashville Muslim activist, Paul “Iesa” Galloway, a former founder and director of Houston’s Council on American Islamic Relations(CAIR), an arm of Hamas, makes it very clear they no longer need to hide their agenda. Galloway, a transplant from Houston TX has been involved with Muslim Brotherhood/Hamas organizations for several years, and now leads the American Muslim Advisory Council, (AMAC) AKA the American Muslim Advocacy Center,(AMAC) the latest name of their interchangeable front group. What Galloway has stated should send chills up the spine of Americans. “Living up to the highest ideals” of his religion (Islam) is to emulate the prophet Mohammad, which would make a Muslim a good Muslim, but keep in mind Mohammad was a violent political figure, who enslaved women, and beheaded Christians and Jews if they refused to revert to Islam. This is the “highest ideals” Galloway believes is now time to follow? Muslims also are seen in a favorable light by Allah if they carry out jihad. Jihad is not necessarily war, but may be legal, economic, or political. Galloway’s former employer, CAIR, is a perfect example of utilizing legal jihad. CAIR files lawsuit after lawsuit, purposely bogging down courts with frivolous actions. While Tennessee does not have a CAIR chapter per se, Galloway uses the American Muslim Advisory Council(AMAC) to carry out the ideology of CAIR’s mission. Galloway no longer sees the need to be patriotic, which may be why he has posted the Gadsen flag with Arabic on his face book page, stating “I like to cause folks to do a double take with this image” obviously wishing for people to be shocked. Galloway’s not the only Muslim Activist to be coming out of the deception closet, his close friend and former co-worker has also done the same. Mohammed Elibiary, of Dallas TX recently tweeted on the Muslim suicide bomber that killed several Coptic Christians in Egypt, the home of his beloved Muslim Brotherhood. The term Subhanallah means both “Allah is perfect,” “Glory to Allah.” It is often used when praising Allah or exclaiming in awe at His attributes, bounties, or creation. It can also be used as a phrase of exclamation. Praising the death of Coptic Christians is abhorrent, but also not surprising since Muslims believe all non believers should convert or die. Galloway and Elibiary were colleagues at the defunct organization Freedom and Justice, founded in Dallas TX by Elibiary. He also was a board member of CAIR in Dallas at the same time Galloway was the director of CAIR Houston. 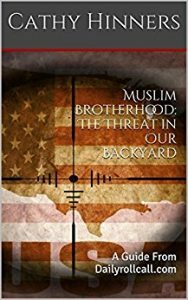 Elibiary is also known to law enforcement in Texas, as he abused his position with the Texas Dept of Public Safety when he gathered classified intelligence reports and brought them to the media attempting to portray Public Safety officials as Islamophobes. Texas media declined to take his bait, finding his agenda was solely to promote Muslims as victims, which there was no evidence of. This is deception at its best, however Galloway’s smitten groupies and followers need to understand who he really is. In pure Islamic fashion, Galloway has become the go to person for everything Islam, so he could spin his CAIR mentality in a “patriotic” religious way. If his friends wish to remain blind and continue to defend his deceptive ways, shame on them, and remember those who lay down with dogs, get up with fleas. We will continue to expose Galloway and his faux organizations for what he really is..
← Previous Previous post: American Public Schools Once Again Infested By Islam. Just had my morning coffee, some great bacon and eggs plus some sausage. Relieved myself on the Quran, and yes it does hang beside my commode. Now to get serious folks. This nation was founded by Christians of all denominations. We have been fighting the Muslims since Thomas Jefferson and if they want to come out of the closet and destroy this nation I do believe we are up to the task. Do not hire Muslims. Do not trade with Muslims. Do not befriend Muslims. Isolate them. Do not repair their appliances. Do not visit or speak with them in schools or church or wherever. Put the crosshairs square on them. Being a man who considers himself rational, I find it no problem if someone say they are going to kill me, I have every right to defend myself. As their numbers increase, they become more emboldened. Know this, it is far better to be tried for someone else’s murder as they being tried for yours. Never ever shake hands with Muslims, for they still wipe with their left hand. Gross, unclean. They are cancer on this nation and the lifeline of the Democrats. This should give you enough of a short read to start thinking.